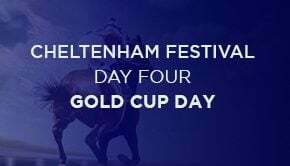 Trials Day at Cheltenham gives horses with prospects of running at the Cheltenham Festival in March a chance to experience the course in competitive races. The big meeting takes place six weeks after Cheltenham Trials day, and this an ideal gap between runs for horses who are being aimed at Cheltenham Festival races. This was a dominant display by the winner who won a decent juvenile race by 13 lengths which means FAKIR D’OUDAIRIES is the prediction for this race. The horse to take out of this race is SPINGOFTHEGAMES who kept on and was only beaten by two and a half lengths carrying five pounds more than the winner. JANIKA was only beaten by a head giving the winner 19 pounds and the manner in which the horse stayed on suggests a contender for the Festival. Frodon battled up the hill and held on gamely to win by three quarters of a length but TERREFORT ran a decent race in third place. BREWIN’UPASTORM fell at the last hurdle when being challenged by the winner and looked capable of winning the race without this mishap. Current Favourite: Champ at 3/1 with William Hill. PAISLEY PARK produced a brilliant display and cannot be opposed back at Cheltenham for the Festival in March. BENNY’S BRIDGE is clearly ahead of the handicapper and must be backed for the race targeted at the Cheltenham Festival. Current Favourite: Off You Go at 14/1 with William Hill.